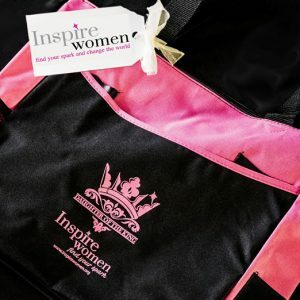 Inspire Women Experience Declaration Tote with the saying “I AM the DAUGHTER of a KING. 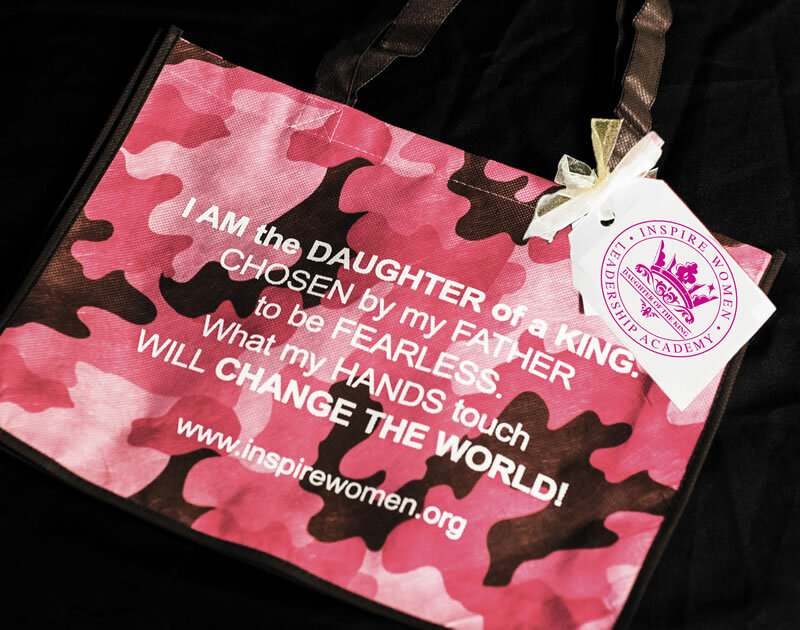 CHOSEN by my FATHER to be FEARLESS. What my HANDS touch WILL CHANGE THE WORLD!” on the front of the bag.